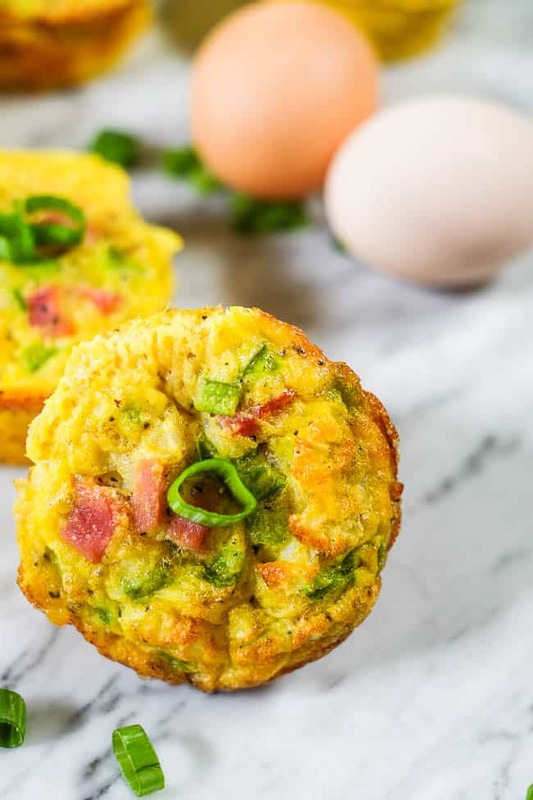 We love making these healthy egg muffins because they are perfect for meal prep on the weekends. 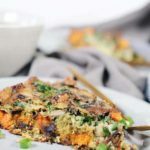 With only four ingredients, they are the perfect grab-and-go Paleo + Whole30 breakfast. Not to mention, they are like a mini Denver omelette wrapped up in a convenient muffin-sized package! 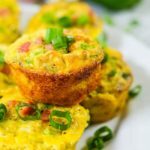 If you need a meal prep breakfast that travels well, you can’t do much better than these healthy egg muffins. 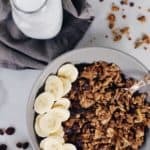 Just heat up a couple and carry them out the door or take a container to work with you to throw in the microwave. Or, if you are kind of crazy like me, you can even eat them cold. 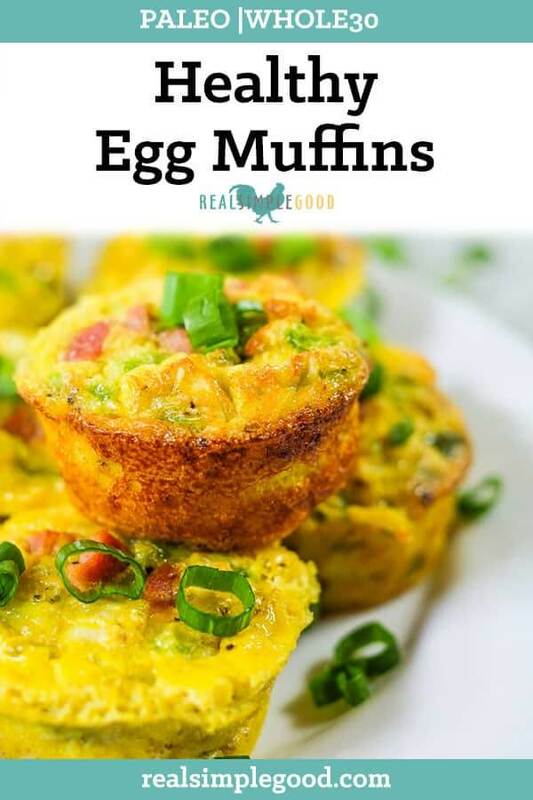 For some reason I don’t mind eating these egg muffins cold. 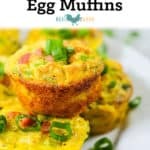 When I made the recipe for these healthy egg muffins, I was thinking that I wanted to re-create the flavor of a Denver omelette in muffin form. A Denver omelette is really pretty basic, just some ham, diced bell pepper and onions. Since we don’t usually eat cheese I left it out of the recipe but if you do eat cheese go ahead and add some in! 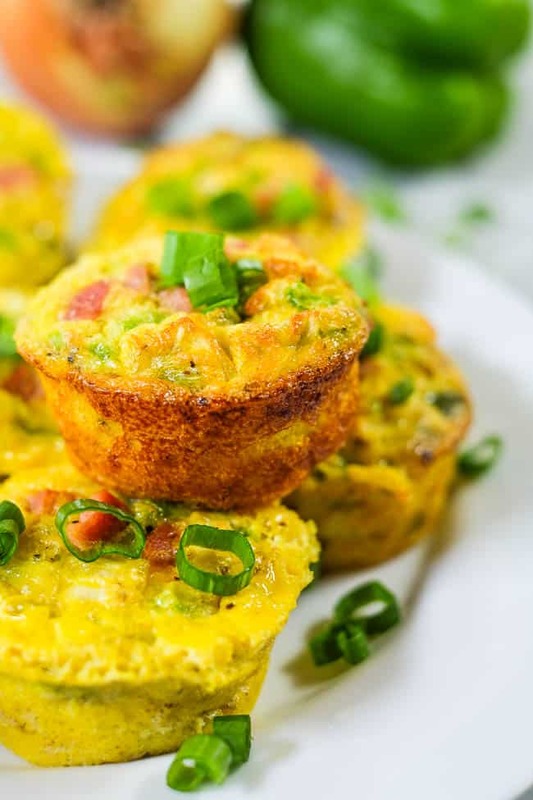 These muffins are basically a portable Denver omelette. 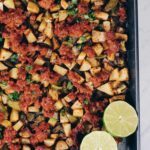 If you have followed along with Real Simple Good for any amount of time, you already know that we are huge proponents of meal prep. 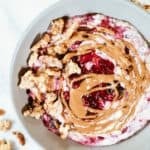 We feel that doing as much meal prep on the weekend as time allows will make your work week much easier and allow you to stay on track with healthy eating goals/habits. 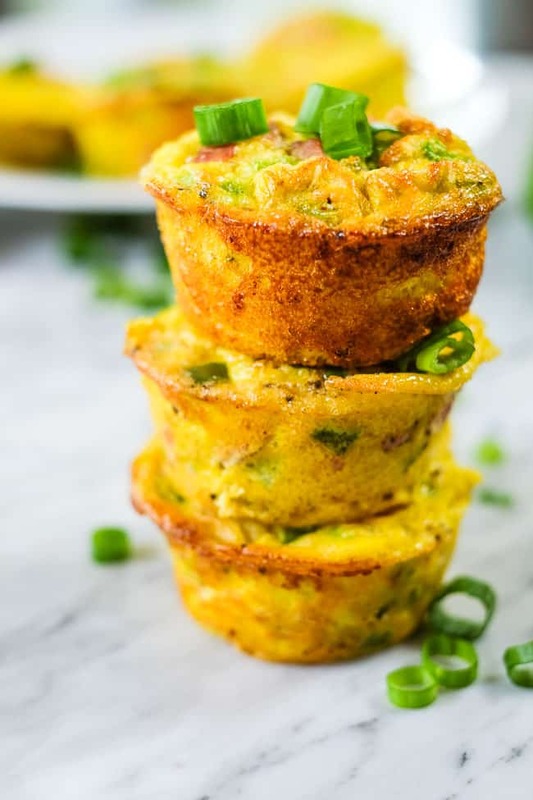 A make ahead breakfast like these healthy egg muffins is perfect for meal prep since there is always a time crunch in the morning and having breakfast already made and ready to go can be a real lifesaver. 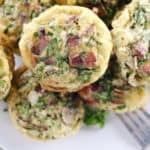 Go ahead and whip up a batch of these Denver omelette based healthy egg muffins and enjoy them for breakfast all week! Leave a comment below to let us know what you think, and take a picture to share on Instagram! Tag us @realsimplegood, so we can check it out, and give us a follow if you don’t already! 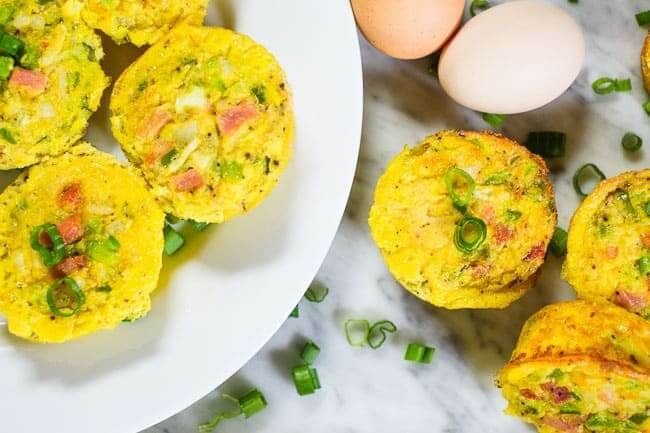 These healthy egg muffins are made with only 4 simple ingredients and are great for meal prep. 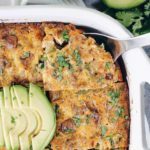 They are the perfect Paleo + Whole30 on the go breakfast! Chop ham, bell pepper and onion as noted. Crack eggs in a large bowl and whisk well. Add the chopped ingredients and 1/2 tsp each of salt and pepper and mix. Grease muffin tin with fat/oil (make sure each section is covered well from top to bottom or the eggs will stick). Or you can use muffin tin liners. Spoon the egg mixture into the muffin tin, filling them almost full (they will puff up while cooking). Place in the oven and bake for 20 minutes. 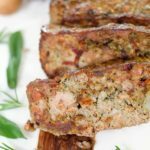 Remove and allow to cool slightly before serving. 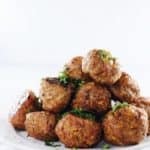 These can be refrigerated and keep well for 4-5 days (great for meal prep). How much spinach? Not in list of ingredients. Does this make 12medium or 12large muffins? I would call the muffins we made here medium sized muffins. These look super yummy.. Can they be frozen? Sorry to hear that, we’ve made these with liners and they didn’t stick much. Maybe it works with silicone liners but not paper liners?